Resistance is a numerical number given by items and set for mobs that reduces damage dealt to a player or monster by a percentage. There can be resistance to fire, ice, magic, slashing, piercing, crushing, divine, and chaos. Poison cannot be resisted by any mob as of yet in update 4. Poison can be resisted by players with special gear. 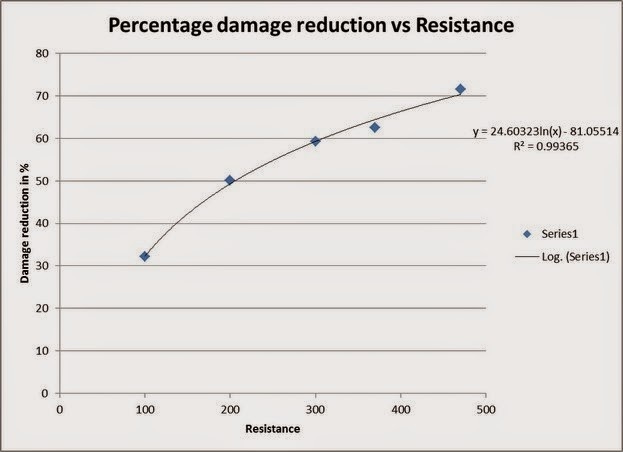 What percentage of given damage is reduced is according to a curve of damage reduction percentage verses resistance. It is the same for any type of damage. See damage for more info on specific damage types. The dip at 370 resist was replicated with further experiments, so it is real.